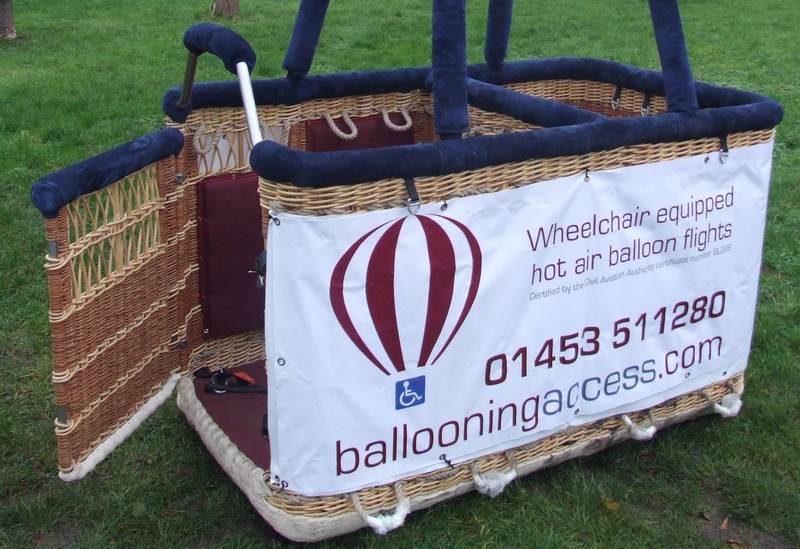 Our wheelchair balloon flights are unique – we are the ONLY UK CAA certified air operator offering wheelchair equipped balloon flights and disabled hot air balloon flights. Flights usually take place in the morning, around sunrise, when the weather is at its calmest. The specially made wheelchair accessible basket has a bespoke door which is opened to allow entry for the passengers. The wheelchair is secured to the basket using a specially designed restraint system. Both the basket and the restraint system are certified by the CAA and tested for safety. The wheelchair passenger can be joined by a guest and you’ll have the balloon all to yourselves along with the pilot, of course. This means that you receive a completely private and personal service. Alongside our wheelchair accessible flights, Exclusive Ballooning also offers private charter flights for between two and four people. During a private charter flight your party will have a dedicated, private basket. This allows for an intimate and personal experience, free from the presence of other passengers. We are a proven world class company who offer a first class local experience.